The Sensirion SHT3x-D is a series of digital of Humidity and Temperature Sensors. This driver supports the SHT30-D, SHT31-D, and SHT35-D using an I2C interface. The analog SHT3x-A, such as SHT30-A and SHT31-A are not supported. 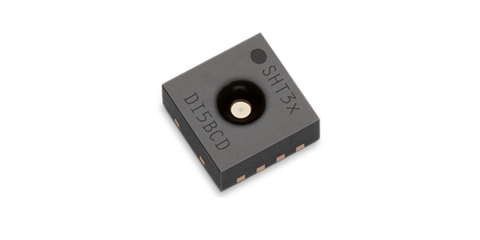 The SHT3x-D sensors supports I2C speed of up to 1MHz. Only supports using the i2c_soft — Software I2C driver to communicate with the SHT3x sensor, not the i2c — I2C driver. Only supports basic functionality and high repeatability mode. Does not perform check CRC of sensor result. Max measurement time for high repeatability. Initialize the driver module. This function must be called before calling any other function in this module. Initialize driver object. The driver object will be used for a single sensor. self_p: Driver object to be initialize. i2c_p: The I2C driver pointer. i2c_addr: The address of the SHT3x-D. Probably SHT3X_DIS_I2C_ADDR_A. This verify the sensor is present. Get measurements and return it from the SHD3x-DIS chip. This is a “high level” function which will block for the time it takes the sensor to perform the measurement. temp_p: Tempererature in Celsius, or NULL. humid_p: Relative Humidity, or NULL. Get the serial number from the SHD3x-D.
serial_p: Serial number of the SHT3x-D sensor.